When I was living in England, I could occasionally afford to drive down to the South of France in my ageing Triumph 2000. In retrospect, it was foolhardy to say the least because the car was not exactly the latest thing on wheels. A few more years and it would have become a museum piece. In those days, you had to fit yellow plastic filters to the headlights in order to comply with an eccentric French law dating back to 1937. France was the only country in Europe which made it compulsory for all vehicles to have yellow headlights. If, in your haste to depart you managed to forget the filters, you could be sure to encounter the displeasure of some plodding country gendarme who had little else to do. The law remained until 1993 when those busy-bodies in the European Union told the French to stop being so silly and get in line with everyone else. Why they felt the need to have yellow headlights I have no idea, because they certainly seemed less bright than the conventional type. Perhaps, being French they just wanted to be different. My route south was pretty much the same, Calais to Paris, then down through Beaune and Lyon and on to Valence and Avignon. After Avignon, ever so gradually, the colour of the light began to change. It’s easy to understand why this region attracted painters like Braque, Cézanne, Matisse and Picasso. The air is so clear; the colours so vibrant. They seem more so when you have just arrived from the landscapes of further north. Even grey stone walls seemed to have richer tones than those back in England. Then of course there was the wine (I thought we’d never get there, Ed.) These days, some of France’s best bargains hail from the south. Gone are the days when French country wines were mostly cheap plonk suitable only for blending or worse still, converting into industrial alcohol. Nowadays you can find some very pleasing wines from this region, not in the class of top Bordeaux of course, but sometimes almost as rewarding and a whole lot cheaper. So this week, we’ve got two super little reds from the Club des Sommeliers. It’s rather a clever trade name too, because it gives the impression you are buying something rather special. As far as I can tell, the company seems to be a négociant located in St. Etienne, about thirty miles south-west of Lyon. A négociant in case you have forgotten, is the French word for a wine merchant who buys wines from smaller wine-makers and sells the final product under his own trade name. These négociants serve a useful purpose because many smaller winemakers can’t afford the equipment necessary to produce and bottle their own wines. Négociants like Bouchard Père et Fils for example, are sometimes enormous companies which buy anything from raw grapes to partially-made wines. If they buy the grapes, they usually do both the winemaking and the bottling. When the négociants buy wine in bulk, they sometimes let the wine age a bit, blend in other wines or simply bottle it and sell the wine as it is. 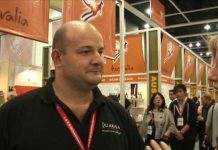 The resulting product is nearly always sold under a trade-name created by the négociant and not under the name of the original producer. Both these reds come from the vast Languedoc-Roussillon area, which stretches from the Spanish border half way across the South of France. 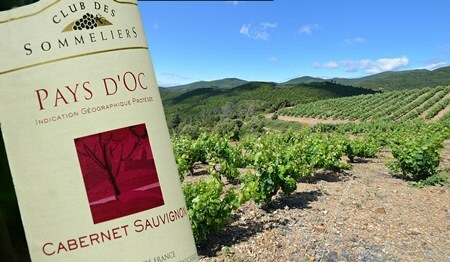 They’re labelled Pays d’Oc (The Land of the South) and also carry the IGP (Indication Géographique Protégée) designation which technically places them a notch above ordinary table wines. This rich, dark red wine has soft and tempting aromas of black fruit and especially black cherries. But wait! Is there just a faint reminder of fresh asparagus or red peppers? These unlikely aromas sometimes find their way into Cabernet Sauvignon and always take me slightly by surprise. It has a very soft mouth-feel and a good foundation of dry tannin. Although there’s plenty of fruit on the palate, it’s quite dry and medium-bodied. It’s very well-balanced too, and you’ll find that the wine has a long, dry finish with hints of wood and herbs. It’s an easy-drinker and if you like your reds clean and dry, with an attractive foundation of light tannin, you’ll probably enjoy this very much. The wine has quite a firm body and rather reminds me of light Bordeaux. It’s lovely to drink on its own, but at 13% alcohol content it would go well with light meat dishes or grills. The label suggests that you should serve it between 14°-16°C which in this part of world, means really rather cool. If you prefer your reds a bit rounder and more generous, you may well enjoy this dark red Merlot. 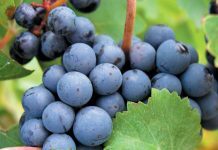 This grape as you may recall, tends to have a somewhat softer profile than Cabernet Sauvignon. Get your snout into the glass and you’ll probably recognise the typical Merlot aromas of red and black fruit, a sort of forest woodiness and reminders of dried herbs. 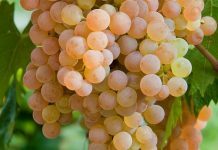 The wine has a velvety mouth-feel but also has a delicate cut of acidity which gives it a bit of shape and brings the fruit into focus. In typical French style, the fruit is rather restrained and beautifully balanced with a framework of soft and supple tannins. In some ways, this wine is a bit like those Merlot-based wines from St. Emilion in Bordeaux, but somehow it seems more relaxed and laid back. More Southern, I suppose. This too has 13% alcohol content and it’s an attractive easy-drinker that would be fine on its own to while away the evening. But it would also go well with light meat or cheese dishes. You could drink it with roast chicken too, if the thought of chicken with red wine doesn’t ruffle your feathers too much.